Cloud orchestration is the arrangement and coordination of automated tasks and results finally in a process or workflow that is consolidated. The rising demand for optimum utilization of resources is anticipated to drive the global cloud orchestration market. The increasing need for self-service provisioning, agility, and flexibility will also be key factors resulting the growth of this market worldwide. In addition to this, the cost efficiency of cloud orchestration will create a heightened demand from businesses and small and medium enterprises (SEMs) and drive the market. The scalability offered or flexibility to scale up and down the resources will also aid the demand for these services across the globe between 2017 and 2025. The increasing importance of reporting and analytics service will help create a need for enhanced decision-making, improved operational efficiency, and for gaining competitive advantage. Furthermore, internal business process is also highly in demand and this will boost the demand for cloud orchestration. 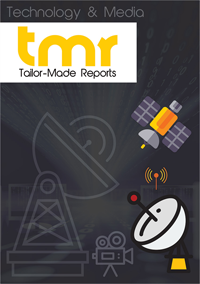 Thus, it is likely that the reporting and analytics service segment will lead in the market in the years to come. Cloud orchestration service is attractive for businesses as they offer enhanced accuracy, reduction in the time consumed for manual tasks, heavy workload management, and increased business opportunity. Compliance editing is turning out to be a lucrative application for cloud orchestration. Compliance auditing enables enterprises to concentrate on their actual core business and focus on their service quality. It also helps in ensuring better end user experience and delivering quality and optimized IT services. The rising demand for cloud orchestration is anticipated to witness a healthy growth in the next few years. Cloud orchestration is considered to have inherent intelligence, owing to which the application base is projected to expand across diverse industries in the coming years. The research study offers an in-depth analysis of the global cloud orchestration market. The product segmentation, primary applications, latest trends, and regional segmentation of the market have been provided in the scope of the study. Furthermore, a competitive landscape of the global market has been included in the report to provide a detailed study of the market to readers and market players. The rising demand of cloud orchestration for optimum resources utilization and the growing necessity for self-service provisioning are the key factors projected to encourage the growth of the global cloud orchestration market throughout the forecast period. In addition, the agility, flexibility, and the cost-efficiency offered by cloud orchestration is likely to accelerate market’s growth in the near future. On the contrary, the high initial investment cost and the lack of technical expertise among SMES are expected to restrict the growth of the global cloud orchestration market in the next few years. Moreover, the maintenance of operational consistency and the compatibility issues with existing applications are some of the challenges faced by the leading players in the global market. Nonetheless, the increasing demand for streamline business processes and the rising number of enterprises enhancing the benefits of orchestration are predicted to supplement the growth of the overall market in the near future. The global market for cloud orchestration has been classified into Asia Pacific, North America, Europe, and the Rest of the World. According to the research report, in 2016, North America led the global orchestration market and is projected to remain in the leading position throughout the forecast period. The rising popularity of cloud across diverse industries is one of the key factors anticipated to fuel the growth of the cloud orchestration market in North America in the coming years. On the other hand, Asia Pacific is projected to register a strong growth rate in the next few years. The growing need for advanced resource management systems and the shifting of workloads towards cloud environment are some of the important factors that are predicted to encourage the growth of the Asia Pacific cloud orchestration market in the forecast period. The research study has provided a detailed study of the regional segmentation and throws light on the expected growth rate and share of each segment of the market. The global cloud orchestration market is expected to witness strong growth throughout the forecast period. The research study throws light on the competitive scenario of the global market and provides a detailed list of the key players operating in it across the globe. Additionally, the financial overview, business strategies, product portfolio, SWOT analysis, and the recent developments have been included in the scope of the research study. Some of the prominent players operating in the cloud orchestration market across the globe are IBM Corporation, Servicenow, Inc., BMC Software, Oracle Corporation, Computer Sciences Corporation, Cisco Systems, Inc., Amazon Web Services, Hewlett Packard Enterprise Company, Red Hat, Inc., and Vmware, Inc. The competition in the global cloud orchestration market is expected to increase at a significant level with the rising number of players entering the market. The increasing focus of key players on advancements and innovations is anticipated to encourage the growth of the overall market in the next few years.